My job involves looking after earned media campaigns from start to finish and everything in between – from idea generation and research, to planning, execution, social media and reporting. Lots of friendly contact with bloggers, press and site editors to make sure that when a campaign is ready to launch, it gets to the right people at the right times. I like that its a perfect balance between creativity and organisation – two of my stronger skills. I also like working with other teams, enjoy meeting clients from time to time too. Oh, and #BiscuitFridays. A typical day involves getting in early and making a brew, checking emails and then getting my notepad out to see where we are up to with the quarter’s campaigns. Checking the team is on the same page and we all have enough tasks to keep us busy. I can be doing anything from thinking up ideas for new potential clients, launching campaigns for the quarter, blogger outreach, social media plans and reporting. 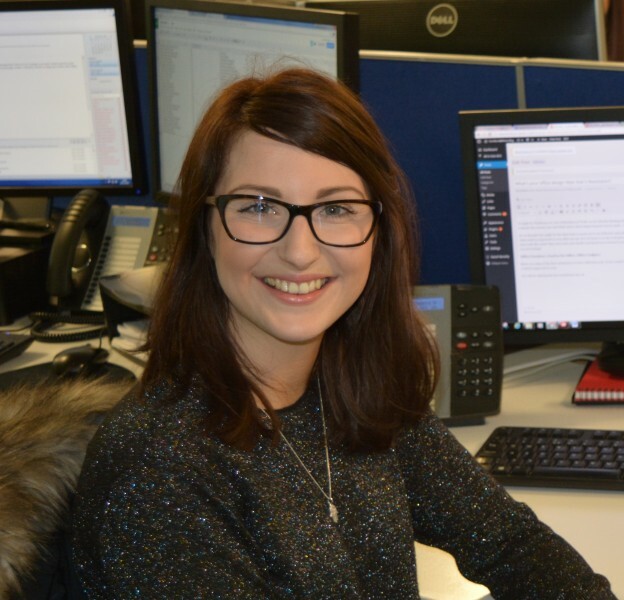 I work closely with the design team and account managers to ensure things run as smoothly as possible! What’s your favourite part of the work day? Being a food blogger, I’d have to say lunch time. I love thinking up yummy things to bring to lunch that are healthy, affordable, tasty and balanced. I might do a feature in the new year for ‘top 10 aldesko lunches’, what do you think? What’s the most outrageous campaign you’ve ever worked on or campaign request you’ve ever had from a client? Which are scariest, zombies or vampires? Zombies are scarier than vampires as they are more likely to be a real thing that comes to get you. The ones in ‘I Am Legend’ and ’28 Days Later’ really, really creep me out..! Want to find out how earned media such as social and outreach could help build your brand? Contact us today.